required features to manage an online store comfortably and swiftly. If you have made up your mind to set up an X-Cart Platform, Ace eComm can provide you with cutting edge X-Cart Product Data Entry Services in the quickest turnaround time possible! X-Cart Product Data Upload is an extremely time-consuming and strenuous task which can only be handled by professionals with extensive experience. Our versatile team has handled all kinds of projects; small, medium and big, and are familiar the complexities and demands of the particular process. So without jeopardizing your productivity, you can focus on your core competencies and let the experts take charge! We possess the required skills which does not only help in populating your shopping cart, but also manage and track orders to ensure customers are receiving their products on time. Once the customer receives his/her desired product and uses it happily – mission accomplished! We can extract product information from a variety of sources such as hard copy catalogs, digital catalogs, scanned images, PDF files, supplier’s website etc. 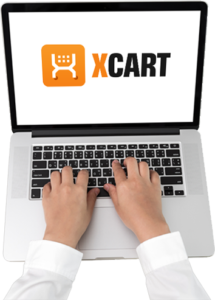 We can accurately enter product details like price, title, SKU, features, brand name, manufacturer’s name etc onto your X-Cart Platform. We classify your products under appropriate categories and subcategories for a better viewing experience. This way online shoppers will be able to locate your products without breaking a sweat. We at Ace eComm fully understand the power of images. Thus our Image Editing team will add relevant images to make your product look beautiful and appealing. If required, they can also create, enhance, resize or edit product images. Our Content Writers are adept at creating simple yet creative product descriptions keeping the target audience in mind. Additionally, we create product meta titles, descriptions and meta tags, and make sure we’re complying with search engine norms to shoot up your store page rankings. We can efficiently handle bulk product upload using bulk listing softwares, CSV or Excel files. Therefore we can upload a large number of products without wasting any time. We can enter all the product details into relevant fields of X-Cart Product Upload template. We can provide a 360 degree information of the products to your customers by adding important attributes such as colour, size, weight, model no., dimension etc. We’ll also help you with order processing and tracking. This would make sure that the delivery process is carried out swiftly. We keep a track on product availability and price fluctuations from the manufacturer’s website. This ensures proper inventory management.